We offer Refurbished Computers including Laptops. Dell & Ibm systems are always in stock from $99 and up. Many new and used parts available at competitive prices. A Memory upgrade is a very popular upgrade speeding up your computer at a low price. Prices can be as low as $18! We can design and build a new or used computer to your exact specifications. 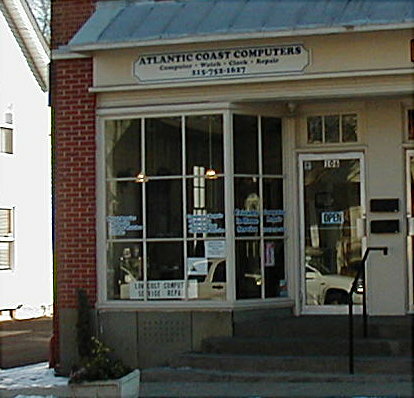 We are also known as Atlantic Coast Computers!